Save yourself the tedious task of having to wash up lots of shot glasses! Great for BBQ's and weddings. Made from safe molded plastic that is dishwasher safe, rewashable and recyclable. Have a chillin' time with these Ice Shot Glasses! Relax and chill with friends and have a blast drinking in a whole nice way. Keep your drinks on ice... literally! 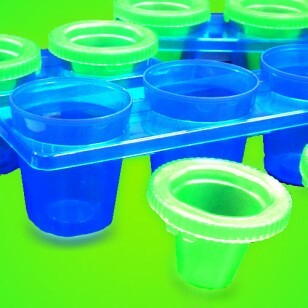 This reusable mold helps you to create fully formed frozen shot glasses out of water or your favourite drink. Simple to use and comes with its own serving tray. Make up to 12 shot glasses at once that don't just look cool but are cool! Quite literally the coolest drink at the bar! Add water, pop into your freezer and in a short time, you will have frozen shot glasses. Knock back icy tequilas or your favourite drink. 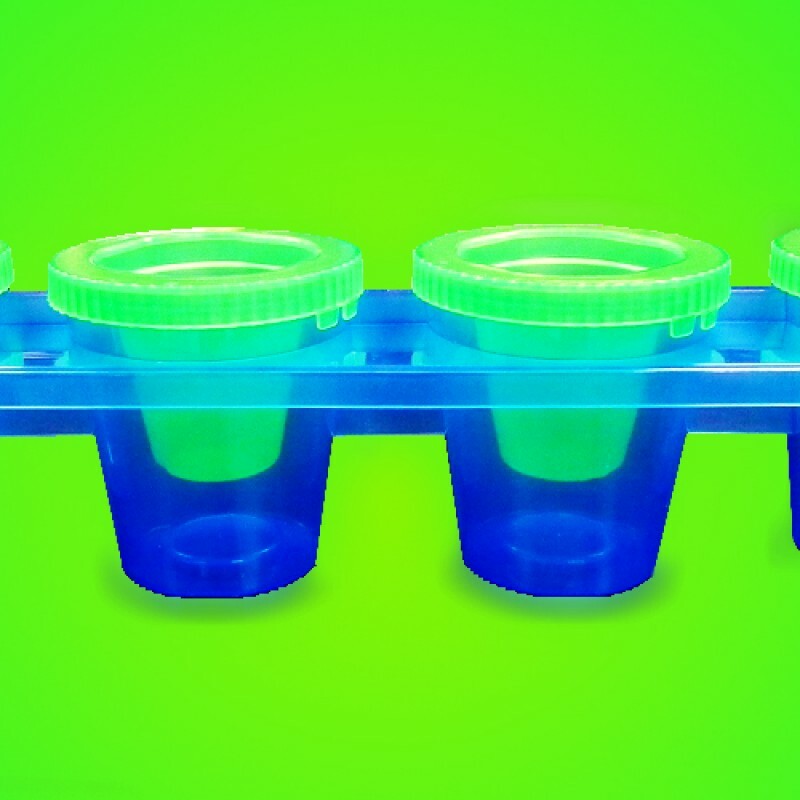 Fill the mold with jelly for the ultimate re-usuable jelly shots!